Welcome to this month’s Blogorail Red Loop! My fellow copilots and I are exploring some of the things that people tend to overlook on their trips to Walt Disney World. I think one of the most overlooked activities in all of Epcot may just be the very thing that makes your family fall in love with the park (if they don’t already enjoy it). This screen-free activity is, without a doubt, the reason my kids are always excited to explore World Showcase. They don’t even mind how much they’re learning while on vacation! The Kidcot Stations, in each of Epcot’s eleven World Showcase pavilions, are some of my kids favorite things to do at Walt Disney World. 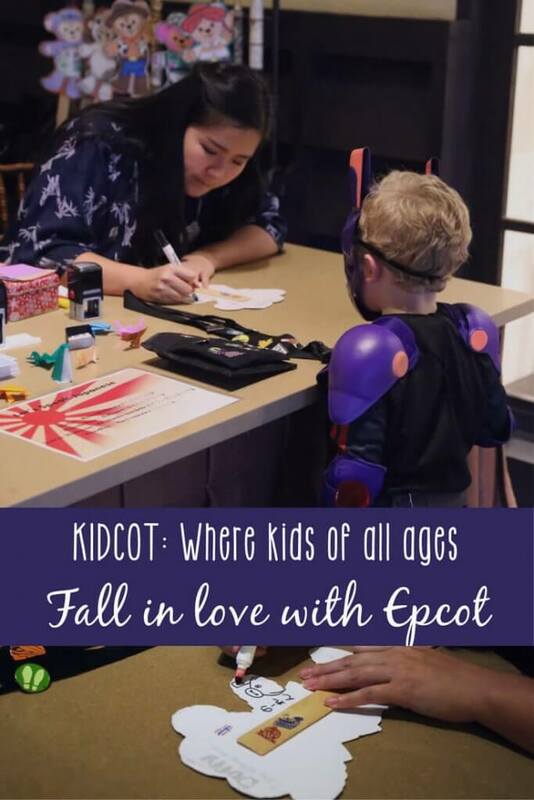 From the first time we went to Epcot with children, the Kidcot stations have been a favorite activity for each of them – and for my husband and me! It’s not often these days that a super low-tech activity – and one that features somewhat lesser-known characters, at that – can keep the attention of kids of all ages. That it competes with all of the stimulation offered during a theme park vacation is nothing short of spectacular… or maybe, these little tucked away tables are exactly the kind of oasis we all look for now and then, regardless of age. 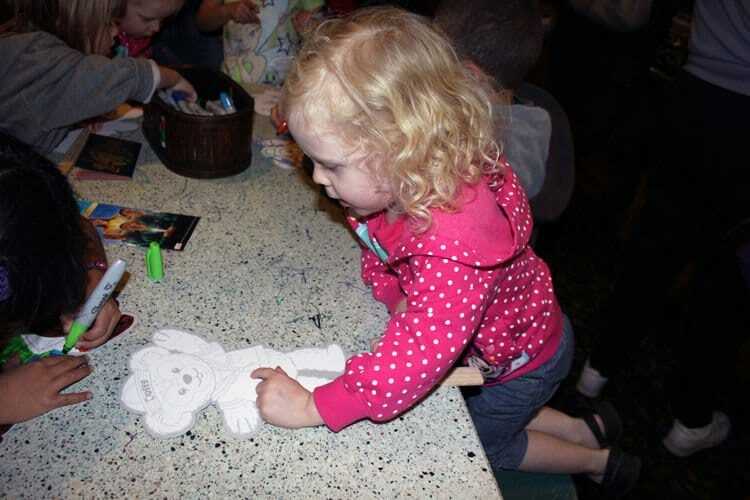 At the eleven Kidcot stations – one located in each of the World Showcase pavilions – kids can color a cardboard Duffy the Disney Bear “puppet”. 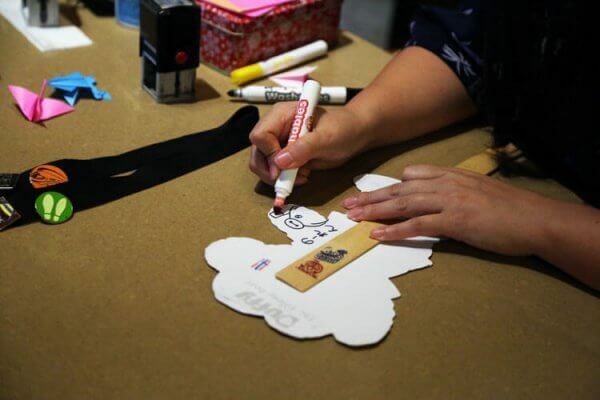 Representatives from each country will also stamp their Duffy (or a passport, available at some of the World Showcase shops for purchase), and draw or write something special on the back. Kids can collect stamps from each of the countries represented in World Showcase. The Duffy Bear “puppet” is a great (free!) souvenir! It’s not true 100% of the time, but when you find yourself exploring World Showcase on a crowded day (and let’s be honest, when is World Showcase not crowded anymore? ), there’s a good chance that the Kidcot stations will have far fewer people hanging around than, say, the craft beer booth. I don’t know if it’s because they’re somewhat tucked away, or if people don’t want to “waste” time on their vacation coloring, but the Kidcot tables and surrounding areas are often quieter than the main thoroughfares. If there is a small crowd when you arrive, don’t worry – people usually don’t stick around any one of the tables for very long. 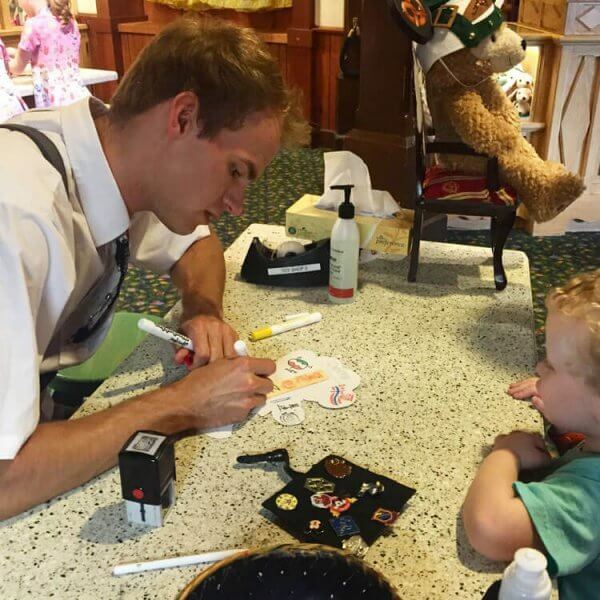 When children check in with the cast members at each Kidcot station, they’re bound to learn a thing or two. In the most basic of interactions, cast members will usually teach guests to say “hello” in their native tongue, or will write a message or the child’s name in their primary language. My kids and I love collecting the stamps and doodles, but we enjoy even more our conversations with cultural representatives from each World Showcase nation. We have had even more fun sitting and chatting with the cast members about their country, culture, family, and traditions. They are eager to answer questions and share stories; guests can often learn more from these cultural representatives in an afternoon than they would from some books… and have fun making a friend or two! Obviously if you spend time talking with cast members as described above, you can have as many unique opportunities as you do Epcot visits. Even when we’ve opted for shorter stops, though, we’ve had cast members draw cute little doodles, write different words, draw miniatures versions of their flags, and more. 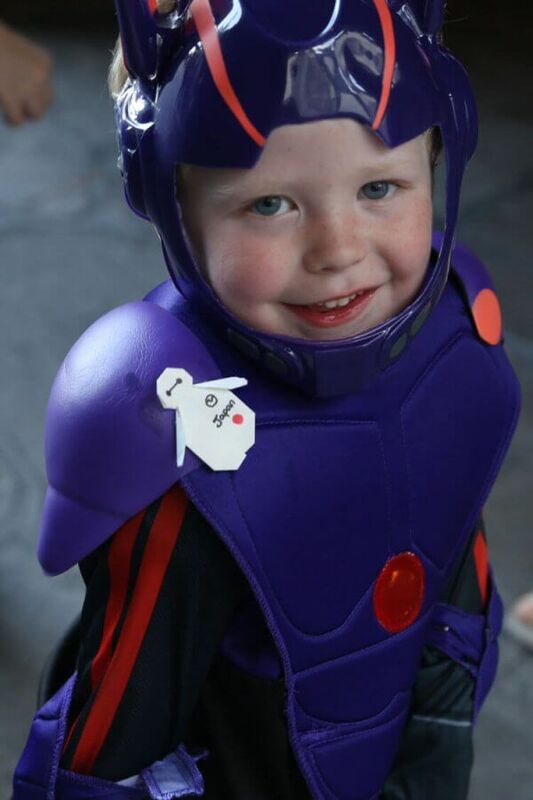 A cast member in Japan made my little Hiro a special Baymax, after chatting a bit about the art of origami. Additionally, you could have cast members help with questionnaires, sign or answer a question in your autograph book, make a passport at home in which to collect stamps, etc. The possibilities are endless! Visiting the Kidcot stations sparks creativity, entertains children while grown-ups are also enjoying World Showcase, and allows families to take a break and rest their feet. It also increases curiosity and encourages children – and adults alike – to interact with people from around the world. I love that they do this, it’s those little extras that make Disney so special! World Showcase is such a unique place, I would love to see them add even more little details like this. We like these tables. You can learn so much from an informal conversation with the cast members. I definitely agree! It’s always fascinating to hear their stories and learn more!